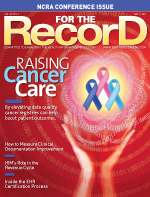 Driven by healthcare facilities’ demand to meet meaningful use to qualify for Medicare and Medicaid incentive payments, EHR vendors are undergoing the process of obtaining temporary certification from an Office of the National Coordinator for Health Information Technology-Authorized Testing and Certification Body (ONC-ATCB). As legislation continues to evolve and more vendors join the certified list, those who haven’t jumped on the certification bandwagon are sure to be left behind when it comes to the consumer market. But with six certifying bodies to choose from, how can vendors select the best fit for their budget? Responsiveness, timeliness, and professionalism seem to outweigh cost in vendors’ decision process. Herb Smaltz, CEO of Health Care DataWorks, suggests vendors schedule a session with each certification body to determine the factors that are important to them. “Whether that’s responsiveness, access to knowledgeable people to help translate those test scripts to make them clear to you, or costs … take the time to have a session with them so that you can get a sense for how it’s going to be to work with them,” he says. Both Health Care DataWorks and DSS selected Drummond Group as their ONC-ATCB and have been satisfied with their selection, although not all six certification bodies were available at the time of their decision. “They’ve been available to us over e-mail and through additional conference calls prior to testing, which has given us a very high feeling of confidence in the process,” says Clark of her experience. But are newer ONC-ATCBs being overlooked? Tracy Welsh, vice president of ambulatory services at Hayes Management Consulting, expresses concern that Drummond Group and CCHIT’s experience with the process has given them a competitive advantage in terms of popularity and may prevent vendors from choosing lesser-known companies. She believes it’s important for vendors to focus on their needs first by choosing a company whose services best meet their demands. “Competition helps elevate the bar in terms of customer satisfaction. It also makes the responsiveness that much more important because [vendors] have a choice,” says Navani. The advantage in having a certification program is that vendors know they are capable of meeting meaningful use requirements, but vendor certification shouldn’t be a requirement for healthcare facilities to receive stimulus dollars because it eliminates some of the competition, she says. Vendors need to start preparing for certification even before they choose an ONC-ATCB to complete testing more quickly and efficiently. If vendors stay aware of political and legal changes regarding meaningful use and certification, they will be “ahead of the curve and able to then implement the right software changes to meet the meaningful use needs,” says Welsh. The more prepared a vendor is before the test date, the more likely it is to avoid obstacles and become certified. “It is a process that takes time, planning, and resources. Take it seriously,” says Navani. Clark suggests dedicating a team to understanding the certification criteria, what the test involves, and what data will be necessary for the test as well as performing “a mapping gap on features and functionality against the script for legislation.” Vendors need to be willing to commit the resources, time, and effort to doing the test right the first time. “They have to dedicate teams of people who might otherwise have been doing other work like development and deployment and implementation and support, so it is a challenging process,” she says. Welsh warns that just because an EHR vendor is certified doesn’t mean the healthcare facility will meet meaningful use requirements; the EHR still needs to be properly implemented. She says healthcare facilities should keep in mind the long-term benefits of the EHR because the stimulus incentives will only last for a short period of time. “I don’t want the vendors to lose sight by focusing all their attention on getting certified and then not thinking about how to make meaningful use happen in reality,” says Welsh. Healthcare facilities also need to be aware of marketing strategies claiming preference and superiority based on certification from a particular ONC-ATCB. “Every vendor is trying to get an edge in terms of perceived value of the label of certification,” says Clark. She stresses that as long as vendors are ATCB certified, they’re qualified to meet meaningful use. “Any perceived value between one ATCB and another is market driven. Once a vendor is certified, it doesn’t matter who did the certifying if you pass,” Clark says. Welsh believes the test needs to change to show a vendor’s strengths and weaknesses by implementing a rating of what areas they did well in and in what areas they could improve, which would create more value for healthcare facilities and provide realistic marketing avenues for vendors. — Leara Angello is an editorial intern at Great Valley Publishing Company.